This is a great way of using up leftover vegetables – anything will do as long as it is chopped finely enough. Cook the couscous according to the packet instructions, adding the onion, pepper, cabbage and celery. Just before the cooking time is up, add the courgette. 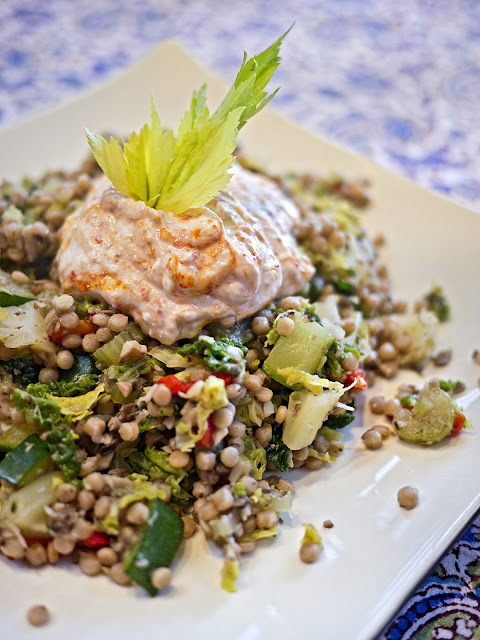 Swirl the harissa paste into the yogurt, and serve with the couscous.